This is the first post in a series of guest posts. Although this site is primarily dedicated to the writings, thoughts, and needs of the members of California Jedi, our group of Jedi does not exist in a vacuum. We take great strength and knowledge from our connection and interaction with the wider Jedi community. 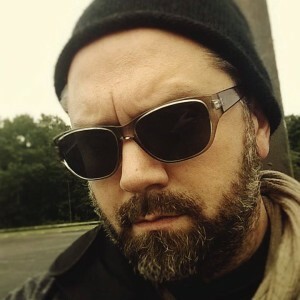 Alex Bird, or Cabur Senaar as he is known at ToTJO, is co-organizer of Jedi:Empire State, a New York offline chapter. Here are his thoughts on the lesson of the lotus as it applies to the Jedi Path. Please, take a moment to clear your mind of distractions and relax your body. The mud flower grows only in grimy water. Truly, unutterably, filthy water. The most majestic examples of the lotus blossom I have ever seen grew in a fetid pond that received the sewage of a nearby village. They were wide and lovely, in soft pinks and blues, rising above surface-floating leaves that looked like they could have supported the weight of a child. I felt profoundly stirred each time I came to that pond. 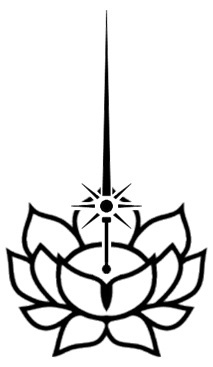 The lotus blossom is used as a symbol of enlightenment. It overcomes the filth of its home to reach toward the sun. It surpasses the muck of this world. Gentle and beautiful as it is, it is heroic in its ability to rise above, unsullied, undamaged. The lotus becomes the seat of the spiritual warrior. The mud flower, Pamda, grows in filthy water exclusively. Attempt to grow lotus blossoms in a clear pool and the seeds will yield nothing. The lotus does not surpass the filthy water, it relies on it. The filthy water is not something to be overcome or defeated. It is the necessary component to the beauty of the lotus. Take away the grime and the flower ceases to be. 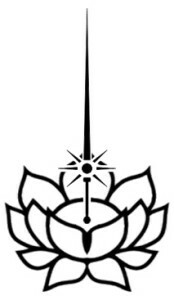 Is the lotus unstained? Every soft pink petal is filled with muck. Every time I stopped by that pond, I found myself profoundly stirred, thrown into a deep quietude. The lotus does not know it is beautiful. It does not know that the water is considered filthy. It does not know what we think of flowers. It is not conscious of any of the drama woven into its story. It simply does what it does. It is. It exists not as a creation, but as a marriage of its own characteristics and the conditions present. It cares not at all what we think or say of it, nor for whether or not it is a symbol of anything. It provides an example purely as a consequence of its natural actions, without intention. It does not grow to teach you. Give this your attention, a few moments of thought. What layers still wait to be peeled away? Alex Bird, also called Cabur Senaar, has been formally involved with the community for nearly two years. He is in the midst of his apprenticeship to Alexandre Orion at the Temple of the Jedi Order, where he is also a Licensed Minister. Who wants to get married? He is also the Co-Organizer of Jedi: Empire State, a New York offline group. Alex is a husband and father, and works with survivors of acquired brain injury professionally. He is also a published poet, occasionally writing in Mando’a. Ask him about it. Alex is looking forward to continued learning and training, and is considering referring to himself in the third person exclusively from now on.